Language Diversity | Office For Equal Opportunity and Civil Rights, U.Va. The University of Virginia is committed to supporting equal access to all of its information, programs and services. Increasingly, this includes recognizing the language diversity represented in the Commonwealth of Virginia and among our international faculty, staff, students, and their families. EOCR supports these vital efforts through outreach and education to the University community on language assistance resources that support the goal of language diversity inclusion. Click on a topic below to learn more. 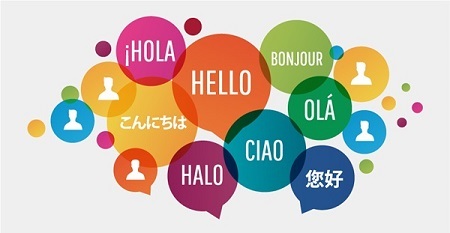 If you will need assistance with translations of EOCR-related policies into additional languages, please contact us at uvaeocr@virginia.edu and put "Translation Request" in the subject line. University Offices and Departments are responsible for arranging language assistance when it is needed to access University information, services, and programs. The following table contains vendors with which the University has contracted, done business, or has access to on the basis of cooperative contracts to provide language translation and interpretation services at no cost to the requestor. The American Translators Association (ATA) maintains a directory of certified interpreters and translators by locality. The ATA directory can be accessed at https://www.atanet.org/onlinedirectories/search_advanced.php. Note: Individual interpreters and translators will need to be invited to register within the UVA Marketplace in order to be compensated for services. To learn more about translation and interpretation services in the University Health System, please visit their website at https://uvahealth.com/services/interpretation-translation. The University is currently exploring the availability of services to provide machine-learning website translations and tools. Until a University-wide solution is in place, EOCR is recommending that all website administrators within Schools and Departments add the Google Translate Website plugin to the standard footer for your website. For those Schools and Departments utilizing website hosting services through UVA ITS – Custom Applications & Consulting Services (CACS), you can contact your project manager to add Google Translate to your site. The accuracy of translations through such tools will vary on the basis of languages and their similarity to English, complexity or linguistic irregularities, and the potential for multiple meanings or ambiguity in phrases. Information on how individuals can request a professional translation of policies, guidelines, or other materials in alignment with the instituion's responsibilities for language assistance should be provided to ensure meaning is understood as relates to providing meaningful access. Each School or Department should make individuals aware of their ability to request language assistance services in connection with accessing its programs, services, and activities. For example, if an event registration form is used to manage participation estimates, include a question as to whether language assistance or interpretation services will be needed. Each School or Department should make key forms, policies, or other materials available in multiple languages, upon request. Based on an evaluation of the language diversity in the Commonwealth of Virginia, the following languages have been identified as a priority for proactive documentation translations: Chinese, Korean, and Spanish. Each School or Department should include a language translation tool on websites it administers. For example, as noted above, Google Translate can be added to any website. If University student employees, faculty, or staff will be asked to provide interpretation or translation services based on their validated language proficiencies, any work performed beyond the standard duties of their primary paid position and duties should be compensated in alignment with average wages for these services in Virginia, which can be found online.